Up to this point, the three Wong Kar-Wai movies that I've watched have taken place in fairly modern times (1960s or later). This week, I'm covering a major departure with the martial arts film Ashes of Time. The cast includes familiar faces from the Kar-Wai troupe, including Maggie Cheung and Tony Leung Chi Wai. The story has similar themes to his other work, even though the setting has changed. For clarification, I checked out the original 1994 version, not the updated Ashes of Time Redux from 2008. Unfortunately, this also caused me to watch a horrible DVD release that likely marred my opinion. Along with poor image quality, the presentation includes many typos in the subtitles. It made me question whether the translation was accurate, which is a necessity for this complex story. Ou-yang Feng (Leslie Cheung) lives in the desert and works as a mercenary who hires swordsmen for various jobs. He meets a variety of individuals who ask for his services, but their motives aren't clear. One of them is Mu-rong Yin (Brigitte Lin), who sometimes goes by Mu-rong Yang. She's obviously a woman but often masquerades as a man, which only heightens the confusion. Meanwhile, a large group of horse thieves are causing problems, so Ou-yang Feng decides it's time to take them out. This might not be a wise idea. Although this story takes place in a much different setting than his other films, the themes strongly relate to Wong Kar-Wai's career. The characters are loners who are unable to truly connect. They meet and try to understand what's happening in the others' minds, but it's rarely clear. A good example is Ou-yang Feng's lost love, played with heart-wrenching sadness by Maggie Cheung. She married his brother as revenge against him, and neither are happy with the result. Ou-yang Feng's life as a swordsman didn't make him a good match, and she took it out on him. This type of fractured relationship is commonplace in Kar-Wai's films. Characters obsess over the past and aren't making their lives better. Mu-rong Yin hates Huang Yao-shi (Tony Leung Ka Fai) for rejecting her, and these feelings are driving her quest. On the other hand, her dual personality wants him to live, which creates a serious conflict. Her past experiences have made her incomplete and unable to move forward. With the exception of Ou-yang Feng, the other characters drift in and out of the film and lack much depth. It helps that the actors are talented and can sell the limited material, but there's only so much they can do. Kar-Wai adds repeated flashbacks into each conversation, and it becomes difficult to truly understand what's happening on the screen. One of the reasons this post is so difficult is because of the story's convoluted structure. Ashes of Time is based on four characters from the novel The Legend of the Condor Heroes by Jin Yong, but it doesn't retain the plot. I suspect that it would become easier to follow on repeated viewings, but it can be maddening on the first experience. Figures like Tony Leung Chiu Wai's Blind Swordsman are interesting, but it's the mystery more than the actual content that makes him an engaging character to follow. 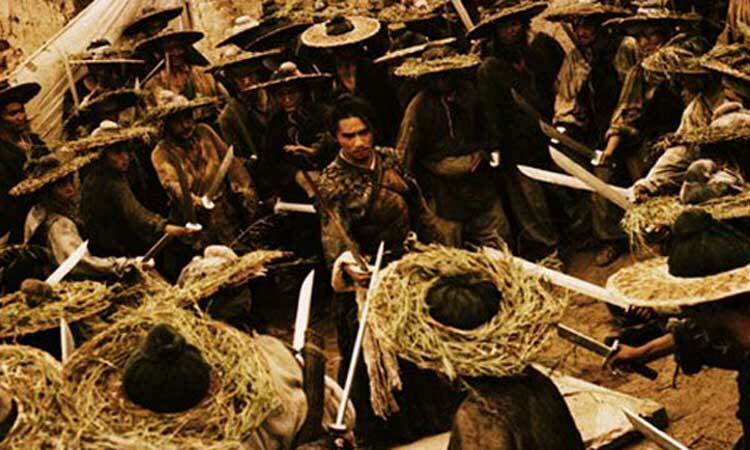 Since the plot is largely incoherent, the best scenes were the fights, particularly a massive showdown between Ou-yang Feng and his comrade again a horde of horse thieves. Kar-Wai employs lots of quick cuts and effective sound effects to convey the chaos of this battle. It's not entirely clear what's happening during much of the action, but the visceral effect is stunning. The story never regains the momentum of this section in the final act, which offers a mournful look at how people repeatedly make the wrong decisions in life. Another scene falls more on the maddening side of the action. Brigitte Lin appears in multiple scenes as the different versions of her personality while talking to Ou-yang Feng. The strange part is that she's obviously not a guy and doesn't even offer a convincing disguise. It's hard to take any character seriously when they don't point out the obvious deception that's on display. 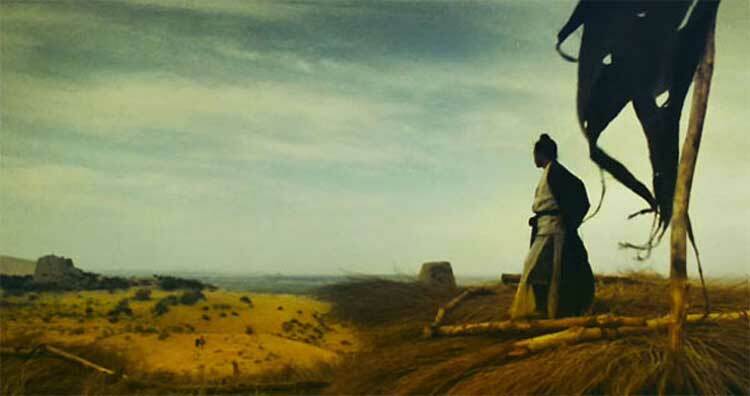 Ashes of Time is Wong Kar-Wai's fourth film and a significant departure from his work at that time. Chungking Express was actually released during the same year, though it feels more refined. I'm glad that I was able to see a different type of movie from Kar-Wai, but I'd rank it as the least interesting of the group so far. I'm curious if the Redux version offers an improvement and would be more engaging. If nothing else, the DVD quality has to be better. While it covers similar themes to his other movies and includes a solid cast, there isn't enough in this film to make it required viewing if you're digging into Kar-Wai's early career.